The Zoll AED Plus Replacement Cover for the Zoll AED Plus. The Zoll AED Plus Replacement Cover includes an intuitive graphical interface within its design, helping rescuers ensure they provide the right treatment for patients. 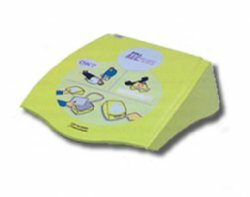 The Zoll AED Plus Replacement Cover also includes designated space for CPR-D Padz and accessories.